Is this supplement causing diabetes? One doctor says YES! Is this supplement causing diabetes? 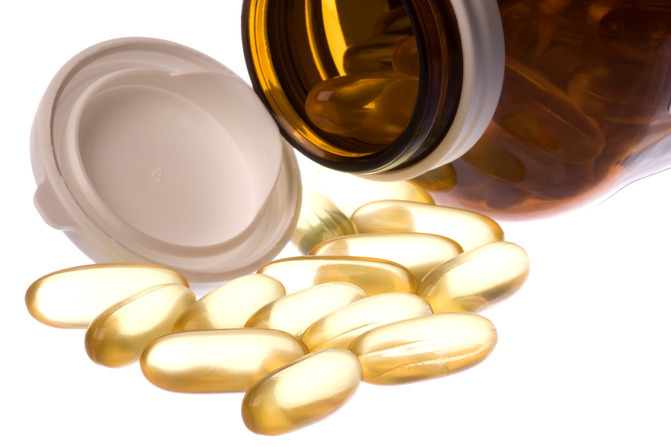 My friend Brian Peskin and I have changed the way alternative medicine looks at fish oil. Or at least we're trying to. In the process, I'm often asked about essential fatty acids. And my answer is always the same: They are crucial for oxygen delivery and for good health. There is more research to support what I've been saying. In a recent study, researchers followed 21 healthy people. They received 2 grams of DHA plus 3 grams of EPA or a placebo for six weeks. The researchers measured their exercise performance for 20 minutes of vigorous bicycle exercise at outset and after the six weeks. The researchers found that the hearts of the participants who took the fatty acids pumped more blood per stroke. They had increased cardiac output. And they had a tendency toward reductions in vascular resistance during exercise. Less resistance means more blood flow. The authors said these findings are consistent with more oxygen delivery. A second study supported the first. It showed that DHA supplementation reduces heart rate and diastolic blood pressure during vigorous exercise. It also reduced triglycerides. Your cell membranes are made up largely of fatty acids. Unsaturated fatty acids are far more flexible, enhancing movement of oxygen and other nutrients. But you don't need fish oil to see these results. Plant based oils, such as Advanced EFA Formula, are 18 carbon chains, which is the majority of what your cells look for. Fish oil fatty acids are 20 carbons in length. Not ideal for your membrane physiology. Furthermore, the research I've found suggests that it is omega-6 fatty acids that transmit oxygen even more than omega-3 fatty acids. This research does support the concept that polyunsaturated fatty acids transmit more oxygen. But there is considerable research that questions unbridled marine 20-carbon oils. What's more, I believe fish oil can increase your risk of diabetes. One retired doctor wrote to me recently and confirmed what I've seen in my clinic. He wrote: "I had been taking high-dose fish oil for many years in an attempt to prevent cardiovascular disease and retard inflammation. However, I noticed that my fasting blood sugars were always in the high range (100-115) and measurements of oxidative stress also reflected high levels. No one could explain it since my hemoglobin A1c always stayed low. Since switching to the parent EFAs, as you recommended, my fasting blood sugar came down to 84. My lipids also looked better than ever. I think many of our colleagues do not appreciate the dangers of high-dose fish oil. Derivative EFAs like fish oil easily oxidize, and although some surrogate markers may improve, the final cost is still unknown." I still stand on my opinion that for most people, the maximum benefit of omega oils will come from plant-based 18-carbon-chain fatty acids. Advanced EFA Formula has the ideal ratio of omega 3:6 for supplementation in my opinion. Eur J Appl Physiol, 2008 June 18; J Sci Med Sport, 2008 June 12; The Hidden Story of Cancer; JAMA, 2008; 299(14).